Foldable, Sliding, Pop-up and Hole-punch pattern phones you would come across this year. The Full-View, Top-Notch, Water-drop and on will be slowly out of fashion in the coming months if not right now. Here we are updating about one more brand that may launch foldable phone in the near future. Please find its detail. ZTE Foldable Clamshell phone's leak is available around. The patent shows that the brand would launch the foldable clamshell mobile phone anytime soon. As per few sources, the phone was introduced in MWC2019, Barcelona, Spain. The phone is expected to come with 5G features. The last we come to know from ZTE was about ZTE Axon 9 Pro smartphone. If you are looking for more detail on ZTE Foldable Clamshell phone's launch date, release date, features, specifications and price other than its first impression, review and hands-on etc. then we would update them once it is officially launched anytime soon. 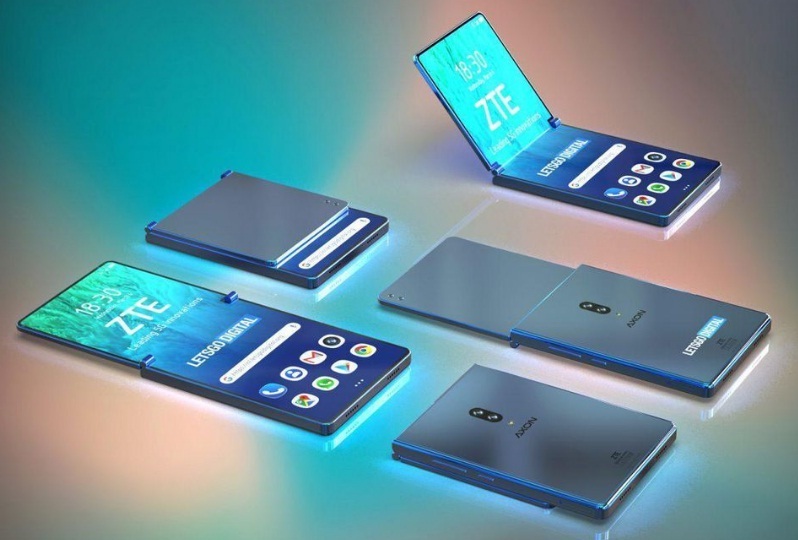 Stay tuned for the update and the above speculation is all about the upcoming ZTE Foldable Clamshell phone, so, the info and patent image given above maybe incorrect one due to unofficial one. We will update official info once it is available. What is Google Stadia - Gameplay console? RSA Archer - How to manage risk?